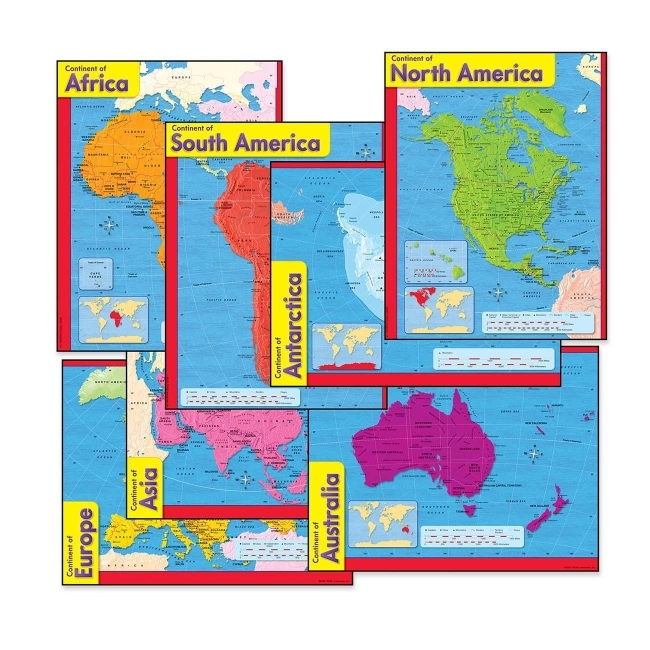 Continents Learning Charts learn fun facts about the varied geography of Africa, Antarctica, Asia, Australia, Europe, North America and South America. Back of chart features reproducible sheets, activities, and helpful teaching tips. Ideal for second-grade to eighth-grade (ages 4 to 14).